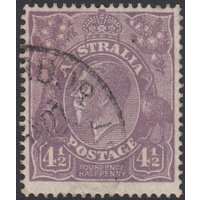 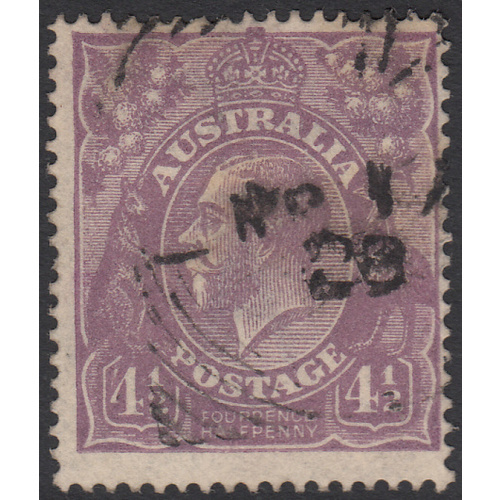 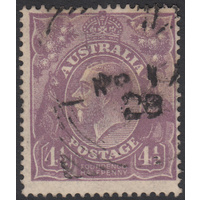 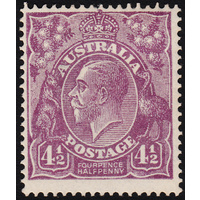 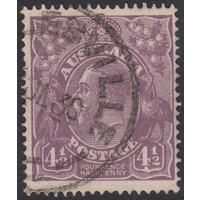 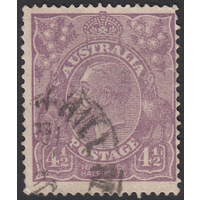 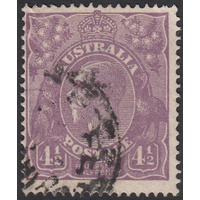 Australia KGV 1924, 4&1/2d Violet, Single Watermark, variety 1R30 (white flaws in Left Value Shield) in Good Used condition with no faults. 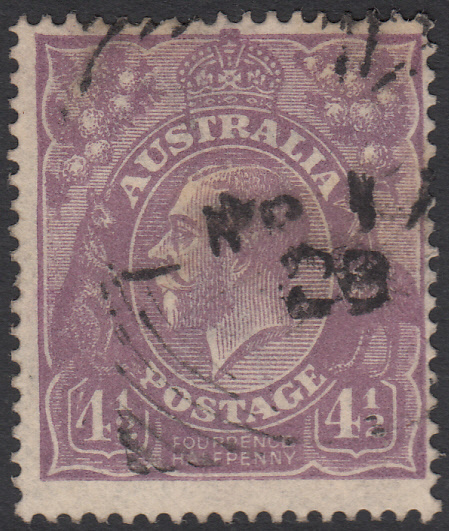 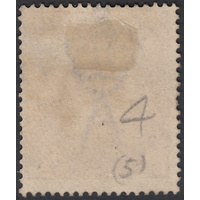 Centered right and high with a circular datestamp cancellation clear of the variety. 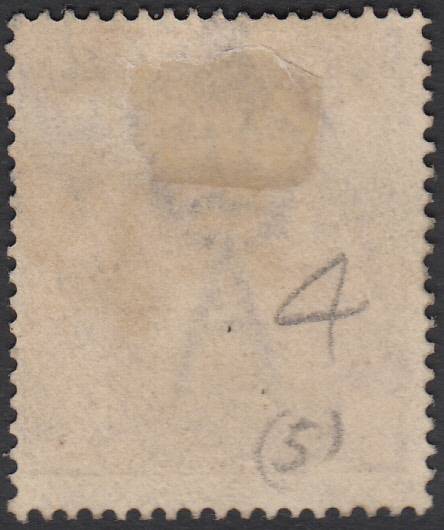 BW 118vb.